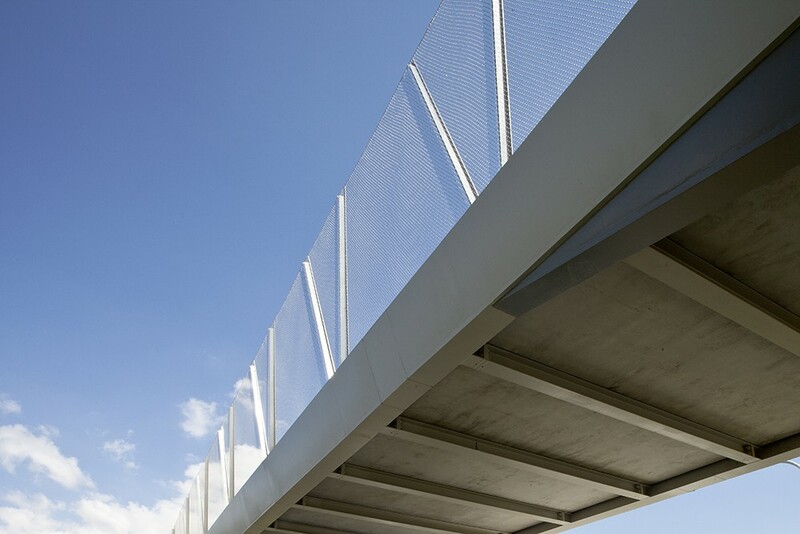 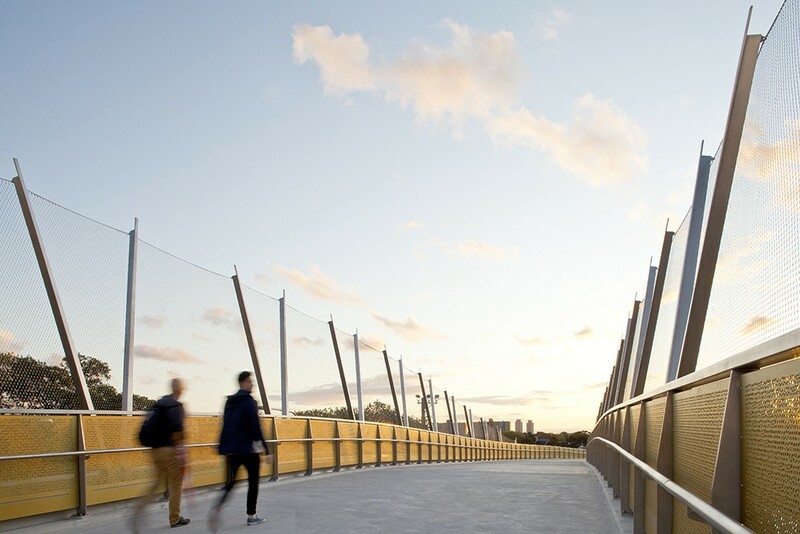 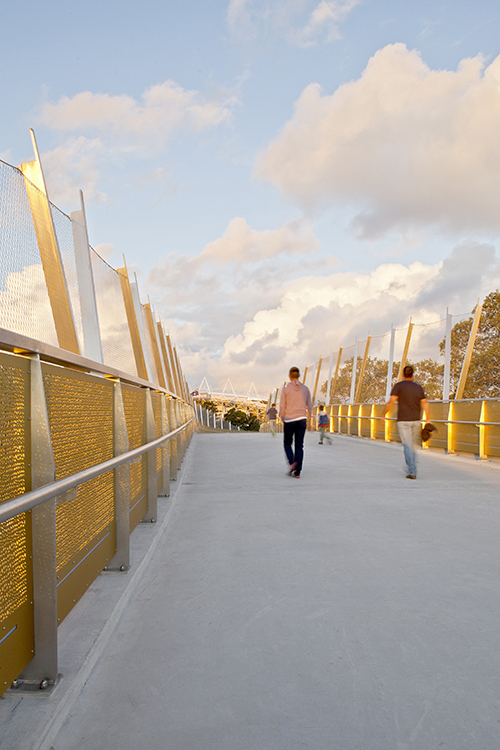 Tensile was proud to be involved in the building of the bridge, and was responsible for the design and construction of the mesh throw screens on the side of the bridge that offer a fall protection system that is strong, practical and beautiful. 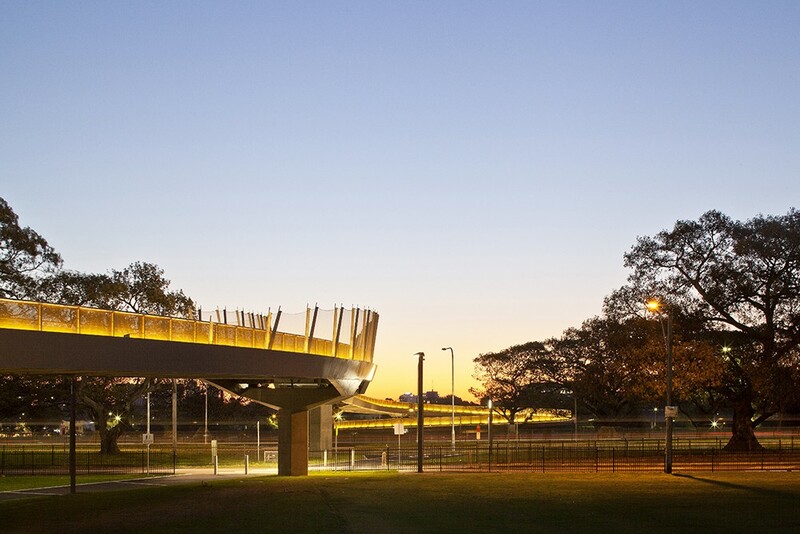 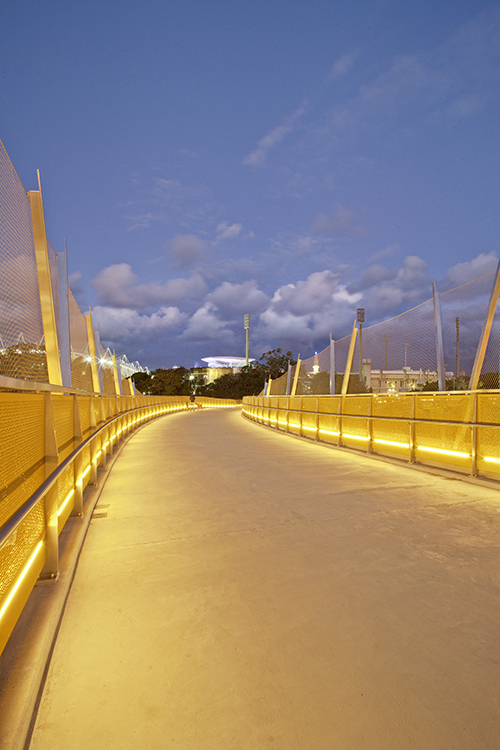 The bridge is named after Albert “Tibby’ Cotter, an Australian test cricketer and war hero killed in action during WWI. 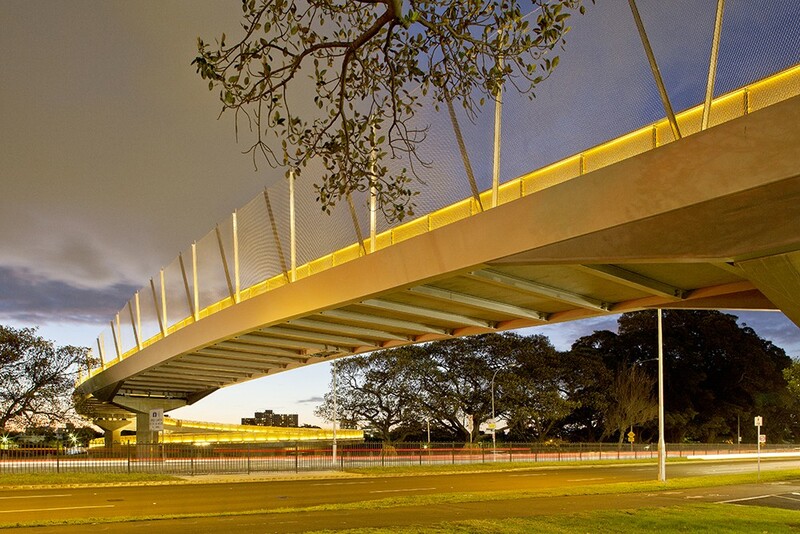 As a tribute to Tibby, the bridge was to be opened in time for the first match of the 2015 ICC Cricket World Cup, which meant the construction needed to be completed in just 14 months. 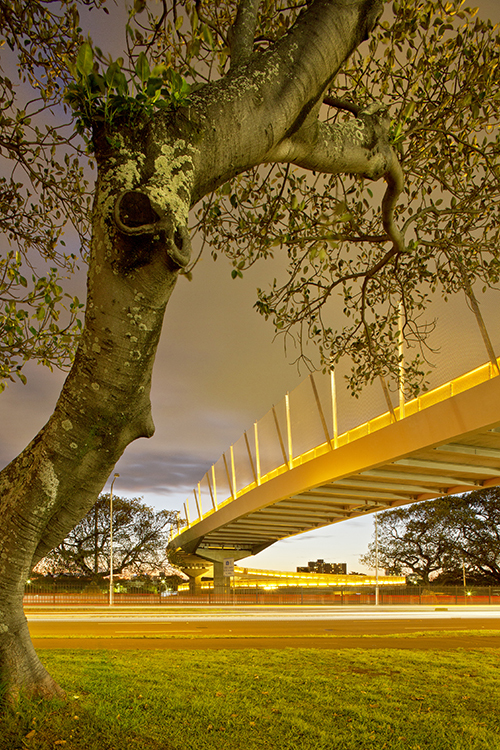 This tight deadline posed a challenge for the whole team to design and construct the bridge in a relatively short space of time. 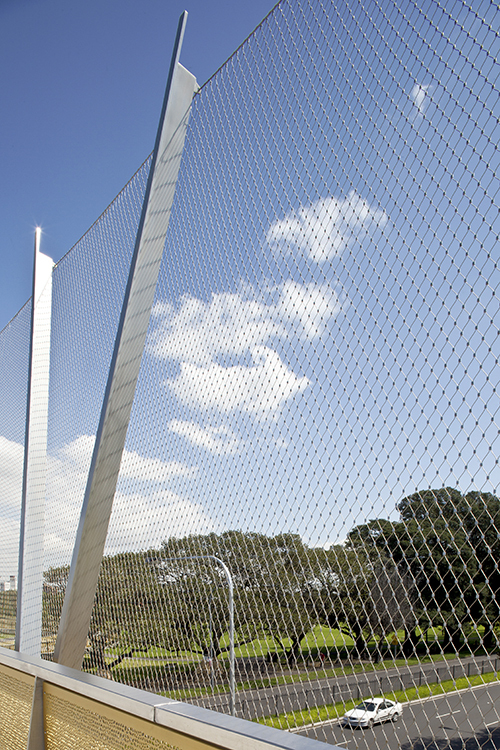 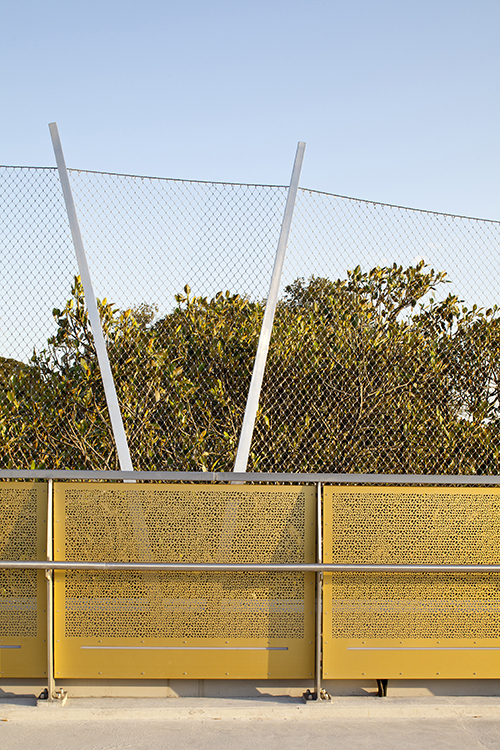 Anzac Parade is a busy major road in Sydney, so installing the mesh with minimal interruption to the public posed some challenges. 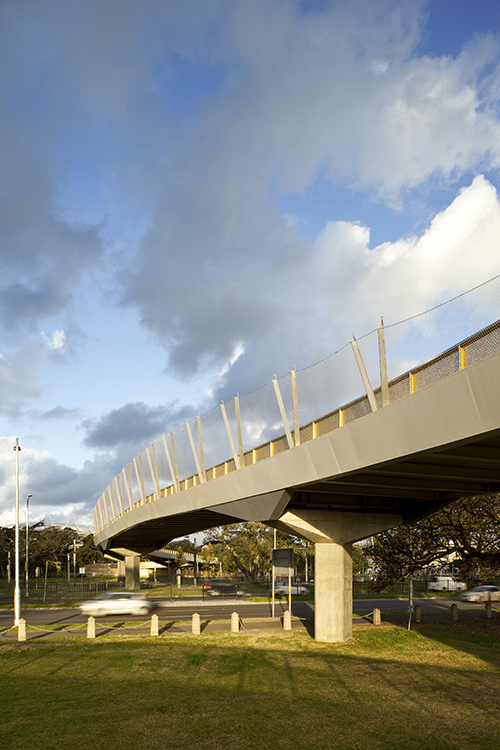 Tensile came up with a construction method that enabled 80-90% of the mesh to be built and installed off-site and then lifted into position. 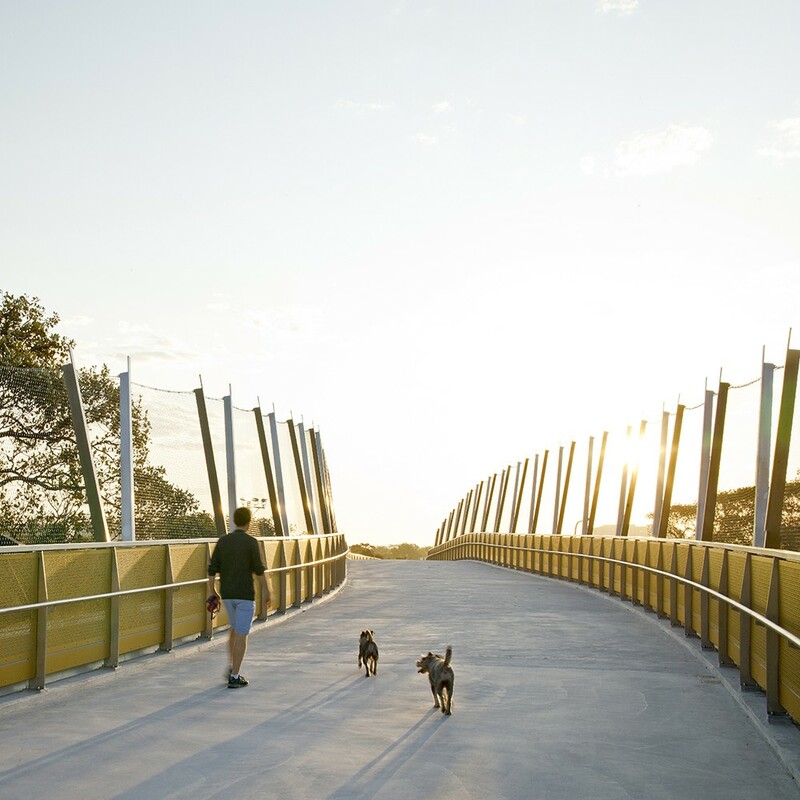 To find out more about the fall protection systems we used on this bridge, or any of our other tensile products, please call our team on 02 9999 3668.